FC Monmouth defender Thomas Judge (James Madison University), midfielder George Akampeke (Monmouth University), and forward Jordan Saling (Wilmington University) have been selected in the National Premier Soccer League’s 2018 Keystone Conference XI. On top of that, Judge was also named in the 2018 NPSL National XI. Judge was a starter at left-back in all eight of his appearances in the regular season. Often an attacking threat, thanks to support from the defensive block Zachary Pereira and Andy Martinez, he registered a goal and two assists for the club. His 78th minute strike versus Hershey FC at home won FC Monmouth the game in early June. Akampeke, originally from Ghana, missed a few games early on in the season because of a delay in his international clearance but came around to start eight games for the club, anchoring the midfield alongside Chase Covello and registering one key assist. Saling finished the season as FC Monmouth’s highest goalscorer, registering four strikes in the nine starts he made. The forward’s goal just before halftime against West Chester United SC on June 30th proved to be the game-winner in a match that was crucial to the club’s playoff hopes. 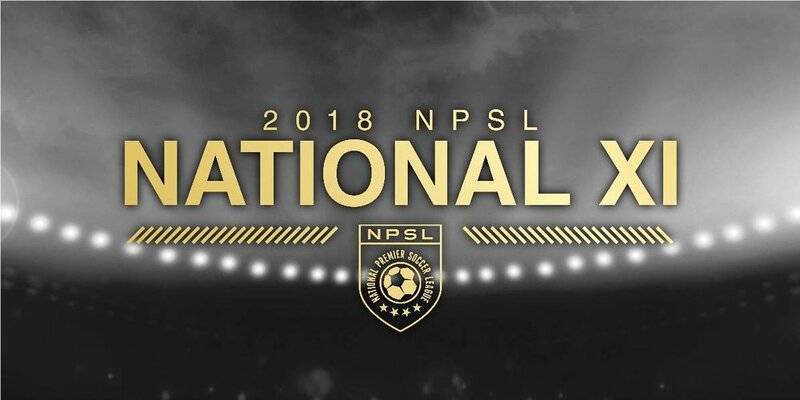 The nominations were released on the NPSL website (click to find the full Conference XI, Regional XI and National XI) and determined by votes from the NPSL teams, media, and fans. The overall winner fo the 2018 NPSL Golden Ball is Matt Nigro of FC Motown.